Facebook will be facing serious financial losses if you don't start buying more mini purple unicorns for your virtual farm pronto. Zynga hasn't been doing very well of late. Between losing $150 per new paying customer and reportedly struggling just to break even, the winds of fate have definitely shifted for the famous purveyor of virtual agriculture. While many people plagued by ceaseless Facebook proferrings of lost heifers would likely cheer the company's decline, Zynga's losses may have a secondary effect. According to statements made by Facebook in a recent SCE filing, Zynga's ill fate will directly effect the largest social network in the world. "We currently generate significant revenue as a result of our relationship with Zynga," Facebook said, "and, if we are unable to successfully maintain this relationship, our financial results could be harmed." Between Zynga's numerous advertisements and in-game microtransations, the company was reportedly responsible for a whopping 12% of earned revenue for Facebook in 2011. 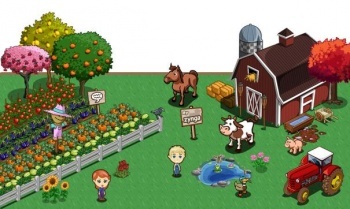 And that's to say nothing of the incalculable FarmVille-driven visits each day, which increase traffic and, by extension, the rates Facebook can ask from other advertisers. "If the use of Zynga games on our platform declines, if Zynga launches games on or migrates games to competing platforms, or if we fail to maintain good relations with Zynga," Facebook warned, "we may lose Zynga as a significant platform developer and our financial results may be adversely affected." Facebook is a massive company with vaults of cash fat enough to make Scrooge McDuck blush, so sometimes it's difficult to imagine a single member of its complex ecosystem able to cause such a large amount of damage. Still, a zillion bajillion dollars minus ten percent is still more than most companies see in their life span, so there's probably not a huge risk of you needing to find a new place to post pictures of the flan you had after dinner at that one place if people stop purchasing red toadstool shaped pixels.